Every product on our site has an estimated Order Process/Ship Time - the number of business days it takes for an item to be processed and prepared for shipment at the warehouse. Each product delivery time varies based on many different factors. Some products are in stock and can be shipped the within 5-10 business days. Others items require a longer time e.g. 2-4 weeks. All order deliveries are approximate and we always make every effort to adhere to them as closely as possible. Unfortunately, these estimates are dependent on product availability from the manufacturer as well as shipping delays en route to our facility. Therefore we cannot be held responsible for any delayed delivery estimates that are caused by factors that are beyond our control. If product is in stock and available to ship, delivery is usually within 5-10 business days after order is processed. You will be notified with a delivery or ship date when order is ready for delivery. If customer is not there to receive delivery, a new delivery date will be given and a redelivery charge will be applied to invoice. Any changes to your order may delay delivery date. Delivery agents do not remove old furniture or move furniture. Orders are delivered inside the delivery address provided upon purchase. Merchandise is delivered in factory-packed cartons. It is the purchaser’s responsibility to set up the product(s) if necessary. All merchandise comes with instructions, necessary hardware and tools. If set up is required please contact customer service for pricing. Home Furniture by Design is not responsible for damages to furniture that may incur due to narrow doorways and its areas, including but not limited to hallways, stairways, walkways, doors, etc. Removal of all items that could interfere with the delivery of your purchase is required. We are not responsible for any damages that may incur. It is the purchaser's responsibility to check all furniture for any exceptions, defects or shortage before accepting merchandise. Please make sure that you inspect the package(s) at the time of delivery. If the box has any damage, or if there is any reason you are concerned with its packaging or delivery, please write, "Product Damaged" clearly on the sheet the delivery agent asks you to sign. This simply insures that if there is any damage, it will be easy to take care of the problem. A customer service agent will notify you with a pick up date. All pick up are done at our warehouse location. Order pick up is Monday-Friday 10:00am-6:00pm. Any merchandise that is not picked up within 5 business days will be charged a $10 per day storage fee. Home Furniture by Design accepts cancellation requests via e-mail. All cancellations must be confirmed in writing: if we did not receive an email request to cancel order, your order will not been cancelled. Your cancellation request will be sent to our warehouse / distribution center directly to confirm the order can be cancelled and has not been prepared for shipping. You will receive an email from us confirming if your cancellation request has been approved. NOTE: Furniture by Design is unable to cancel an order once it has shipped or been prepared for shipping by the manufacturer. If we are unable to cancel your order as requested, you may return the product under our Return Policy. If your order has successfully been cancelled, Furniture by Design will process the refund back within 5 business days. You may receive a total refund of all monies only if you cancel the sale within 48 hours of the date of purchase. 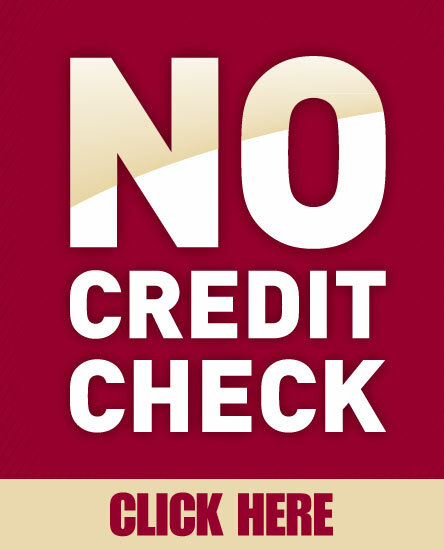 For any purchase done by credit card, we will credit your charge account. All other refunds will be made by check. If cancelled after 48 hours you will be refunded 75% of the total order purchase price. 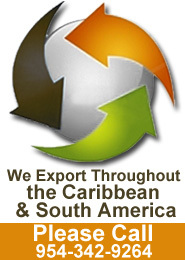 We do not offer refunds on any merchandise that has been exported out the country. No Exceptions. Customer is responsible for checking all furniture not excluding factory-packed cartons upon delivery/pick up. Customer must notify Home Furniture by Design for any damaged merchandise with 48 hours upon receiving merchandise. Damaged merchandise must be returned to store within two business days of date that merchandise was received. Merchandise must be in the original box. Any defects will be determined by manufacturer and an exchange/repair will be given. If we are unable exchange/repair, we will issue a full refund. You can be assured that we will do everything we can to correct all problems with minimal inconvenience to you. We cannot process returns or exchanges for items that have been assembled. Orders that are refused at the time of delivery will be processed under the Refund Policy. Most manufacturers charge a restocking fee or have specific guidelines as a result the customer will be responsible for shipping and handling charges as well as a restocking fee of 25% of the total purchase price. Please allow up to 3 business days to process refund. NOTE: Merchandise is delivered in factory-packed cartons. Assembly may be required by the purchaser. All merchandise comes with instructions, necessary hardware and tools. If you are missing any parts call Customer Service and parts will be ordered and then shipped to your home. Please note parts can take up to 4 weeks to reach you. If your merchandise was picked up, you are responsible for picking up any missing parts from our warehouse location or incur charges for delivery of these items.